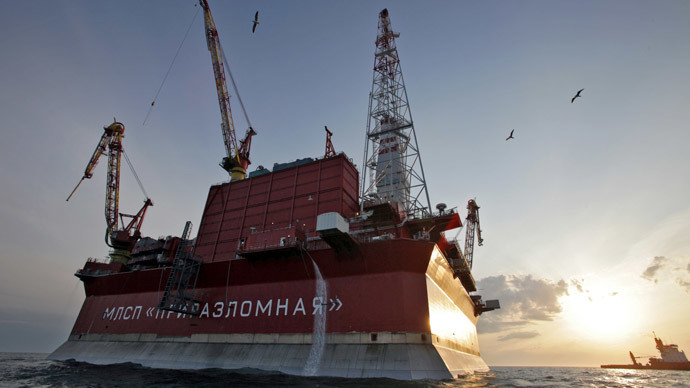 Newly sanctioned Gazprom Neft plans to continue offshore oil extraction in its Prirazlomnoye Arctic field as planned, and will reach peak oil production by 2021, First Deputy CEO Vadim Yakovlev said. 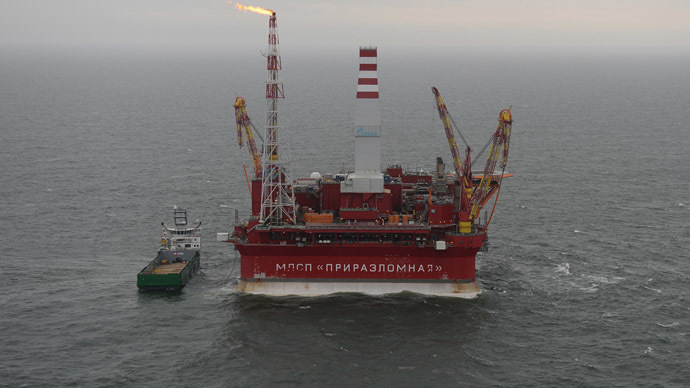 Prirazlomnoye is Russia's first offshore Arctic field, and with 72 million tons of recoverable oil, will be a key source for future hydrocarbon production and development in Russia. Already 100 million barrels of the new ARCO Arctic blend have been extracted from the site, which began production in April 2014. 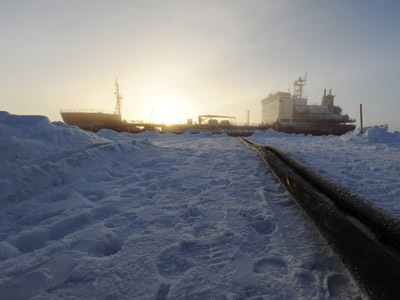 The fresh round of sanctions by the US and EU intend to freeze Russia’s big Arctic and Siberia shale oil ambitions by barring foreign oil companies from supplying any technology or equipment for joint ventures in deep water, offshore, or shale projects. The production platform located in the Pechora Sea in Arctic waters will produce 110,000 barrels per day by 2021, despite Western sanctions. 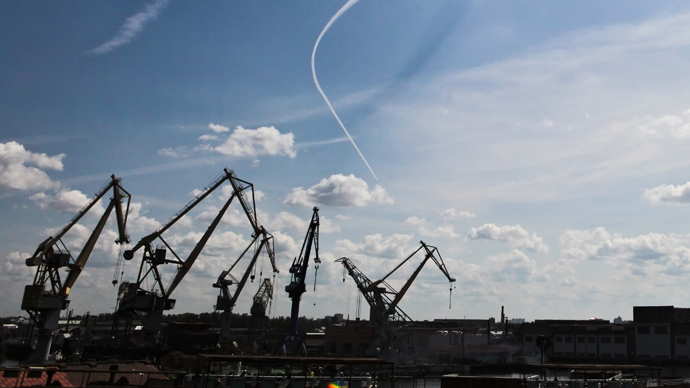 "At the moment, we don't think that this will affect our long-term plans,” Vadim Yakovlev, told reporters Friday, just before the sanctions were published. If sanctions continue, the company may seek other options for extracting oil from the field. “If events follow the worst case scenario, we are working at options to buy (equipment) from alternative sources or producing it with Russian or Asian companies,” said Yakovlev. Yakovlev said the company would not change its long-term goal of producing 100 million tons of oil equivalents by 2020. In 2014 oil output is expected to increase 2.5 percent, and in 2015, by more. The Prirazlomnoye oil platform is unique in that it is ice resistant- and can sustain temperatures up to 50 degrees below 0. The platform itself is stationary in the open water, and tankers come every few days to load up extracted oil and deliver it to the port of Murmansk. Russia has vast offshore reserves, but they are difficult to extract due to deep water and icy waters. Russia is the world’s second-largest oil producer, and pumps roughly 10.5 million barrels of oil per day, just shy of Soviet-era records. Exploration in the Arctic is a key element in continuing current output. On Friday, the US imposed sanctions on Gazprom, Gazprom Neft, Lukoil, Surgutneftegaz and Rosneft. EU sanctions targeted three major companies- Rosneft, Transneft, and Gazprom Neft, the oil subsidiary of Gazprom. The companies have two-weeks to wind down any collaborative activities that violate sanctions.